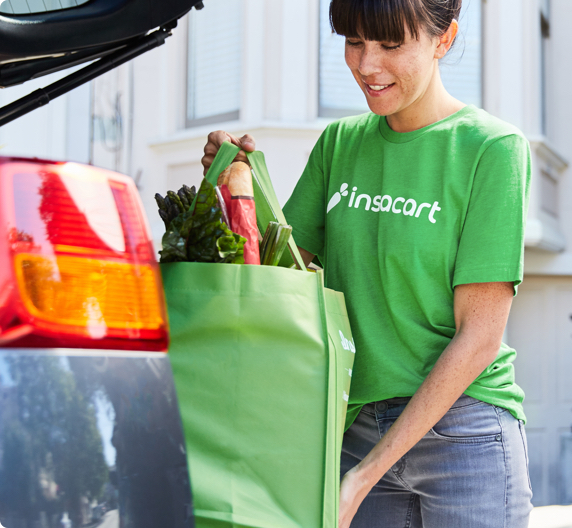 Instacart is an on-demand grocery delivery service. Customers order groceries from their favorite local stores and we handpick the items and deliver the order to them. Take 5 minutes to complete the online form. Once your application is approved, schedule an in-person introduction at your local grocery store Learn about Instacart and the app in your in-person session. Shop ‘til ya drop! 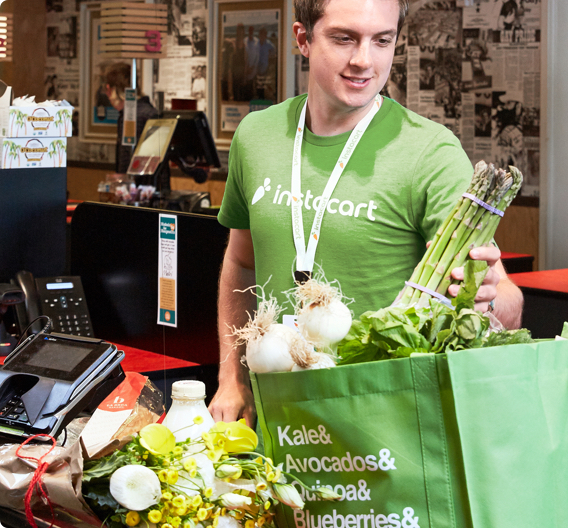 I ALREADY HAVE A JOB - CAN I STILL WORK AT INSTACART? Yea! Instacart values flexibility. You can schedule Instacart shifts around your own life. We don’t have a minimum number of hours each week. Positions that require a car have an unlimited number of hours per week, and positions without cars have a max of 29 hours per week. DO I NEED A 4-DOOR CAR? No! Any type of functioning car works. Plus, you only need a car for delivery roles. WILL I NEED TO COMPLETE A BACKGROUND CHECK? Yes. Trust and safety is important to us and customers. After your in-person introduction, we’ll ask you to consent to a background check. Can lift 30+ pounds with or without an accommodation. Applicants with disabilities who may need a reasonable accommodation in order to apply for a role or assistance with the application process may contact 650-935-5020. Are eligible to work in the U.S.
Get paid weekly. Work peak days to maximize your earnings. Choose hours that work for you. Take time off, or work extra when it suits you. Be part of the team. Make an impact on people's lives. to deliver fresh groceries to their door. What's the right fit for you?